WorkCast was created as a solution to a problem - how can we make webinars as accessible and engaging as video? 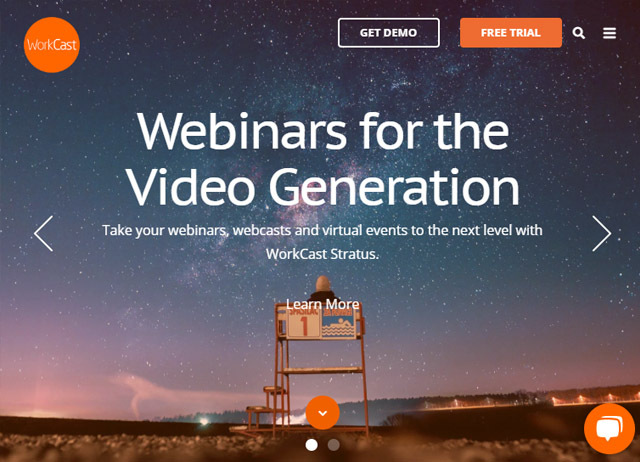 Sign up now for our free webinar to hear from WorkCast's expert team about why WorkCast Stratus is the future of webinar platforms. From an improved presenter studio to a more secure platform to the ability to broadcast to up to 50,000 attendees, this webinar will take you through how WorkCast stratus can supercharge your lead generation, grow your business, and revolutionise the way you communicate with your audience.